Washington’s notorious snowball-thrower was at it again – even on a June day with forecast highs of 92 degrees – as the Senate’s most powerful environmental leader delivered a pep talk to activists who deny the science behind climate change. Oklahoma senator James Inhofe, who now chairs the Senate environment and public works committee despite famously calling global warming “the greatest hoax ever perpetrated on the American people”, took a star turn on Thursday at the Heartland Institute, whose conferences function as a hub for climate deniers. His message – that “God is still up there” and that Pope Francis should mind his own business – sent a clear signal to his fellow conservatives: climate sceptics have a loyal – and newly powerful – friend in Congress. Actually, there was more than one: Lamar Smith, the Texas congressman who heads the science, space and technology committee, raised cheers from the room when he said he proposed a 40% cut in Nasa’s budget for earth sciences last week. In the world outside, anticipation was building for the pope to deliver his much-awaited encyclical next week, when he is expected to cast climate change as a moral issue. On Thursday, Democratic senators Sheldon Whitehouse and Brian Schatz launched a carbon-fee bill – and got a respectful hearing – at the American Enterprise Institute, the leading conservative thinktank, in a possible sign that the uniform opposition to political climate solutions may be softening. And on Monday, leaders of the G7 industrial countries committed to phasing out fossil fuels by the end of the century. For Inhofe, however, steeped in an oil industry that has contributed nearly $2m to his lifetime political career, it will always be that winter day in the Senate earlier this year, when he tossed a snowball across the Senate floor as evidence there is no such thing as climate change. He reprised the stunt with an image repeating over and over on the screen behind him here on Thursday. The senator, in the company of friends and fellow disbelievers, handed out a page of 12 talking points for those confronted by evidence of climate change. He urged Heartland activists to go out and fight against what he called “the myth of global warming”. He stood by his claim that climate change was a hoax, he told reporters later, even though it is not. The pope could do little to change his mind, he said – although the Catholic leader’s position on climate science certainly seemed to be a sensitive point for Inhofe. As for the suggestion that world leaders were beginning to move on climate change, Inhofe argued there would be no real follow-through, from the G7 or at the negotiations in Paris at the end of the year, which are aimed at reaching an international agreement to limit warming to 2 degrees C (3.6 degrees F). In any event, Inhofe said Republicans were showing no indication that his party is ready to fall into line. “If you look at Republican candidates, they are all denying this stuff with the exception of Lindsey Graham,” he said. Graham, the Republican senator from South Carolina who is considered a long shot for president, told an interviewer over the weekend that, if elected, “we’re going to address climate change, CO2 emissions in a business-friendly way”. 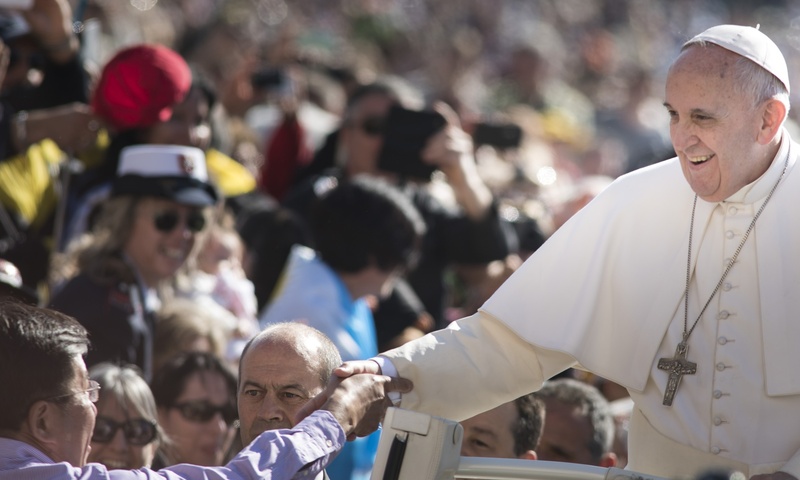 Suzanne Goldenberg visits the Heartland Institute conference to hear what delegates – including US senator James Inhofe and blogger Marc Morano – think about the Pope’s upcoming encyclical.